Heat Pumps | Jones Services - Call About Heat Pumps Today! Protect Your Investment! Get priority service and enjoy the benefits of a Service Partner Plan for year-round savings and discounts! Call: 845-294-1010 to Get Started! 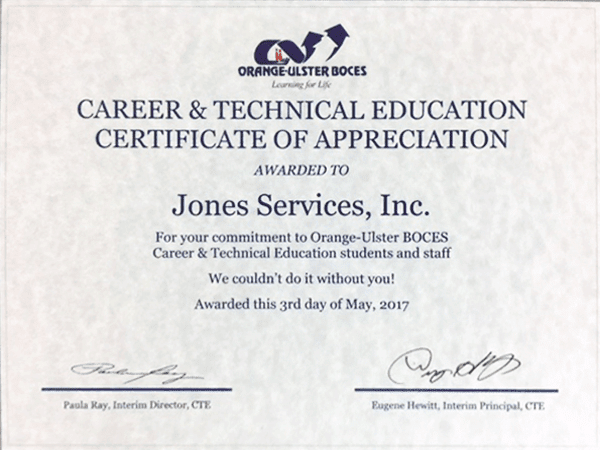 Ready to get started?Click to Contact a Jones Representative! One of the biggest advantages of heat pumps over standard heating ventilating and cooling systems is that there’s no need to install separate systems to heat and cool your home. This means that heat pumps can be added to your existing heating or cooling system to create a ‘hybrid system’ that enhances your energy efficiency by enabling to switching your home’s fuel source back and forth between gas and electric depending on the need. Air source heat pumps are the most common type. This device takes the heat in the air outside your home and pumps it through refrigerant-filled coils, much like the ones on the back of your fridge. The heat pump itself consists of two fans, a heat exchanger, a compressor and a reversing valve. This reversing valve is key to the device’s versatility. The pump absorbs heat from your home or office and pushes it through the device to the outdoor side of the unit where the warm air is released. The pump will continue this process until the interior of the building is comfortable and warm. Although air source heat pumps are by far the most common, ground source heat pumps can also be very potent in the right environment. Ground source heat pumps absorb heat from the ground itself or from an underground body of water. The pump absorbs heat directly from the ground via a system of buried pipes usually filled with water. Depending on how the heat pump is packaged, different models will work better for different building types. For instance, many commercial buildings install a heat pump packaged in a single casing on the roof with the ductwork entering the building through the wall. On the other hand, home heat pumps are usually most effective in a split system with an outdoor and an indoor component installed through the wall. Heat pumps should function seamlessly, so if you notice any of the following issues, it is best to contact on of our professionals right away. Seemingly small problems can quickly grow to larger (and more expensive) ones, so it makes sense to deal with the problem immediately. Increased noise levels: Heat pumps are usually very quiet, so any type of noise is a definite warning sign of a larger issue. No heat or low heat: The primary function of a heat pump is to absorb, transfer, and produce hot or cool air. If your heat pump is not emitting heat, there could be trouble the power supply, igniter, or thermostat. Air pressure fluctuations: Heat pump air pressure should be nothing but consistent and reliable. Signs of air pressure fluctuations may be caused by any number of problems and should be taken seriously. Frozen pump: Your pump should never freeze or contain frost build-up. Frozen heat pumps should be immediately defrosted and cleaned. In the event of a heat pump problem or failure, we always recommend contacting a professional sooner rather than later. At Jones Air Conditioning, our job is to immediately repair the root of the problem in the most cost-effective way possible. We know that guess work and estimation do no one any good and so we make it our business to provide professional service and fixed rates to turn any potential heat pump problems into easy solutions. Like all heating and cooling equipment, heat pumps get a lot of use over the course of the year. This heavy use makes regular heat pump service and maintenance a must—annual tune-ups are critical to sustained heat pump performance. 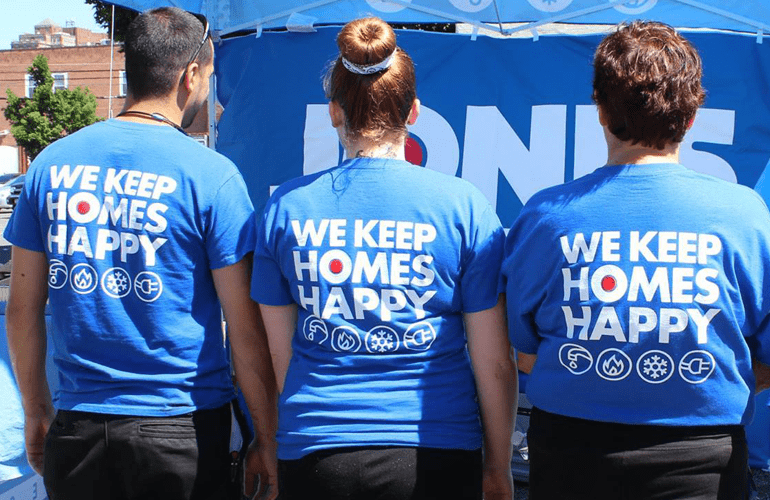 The expert HVAC service professionals at Jones Services are experienced with every make and model of heat pump and have been providing reliable tune-up services since 1986. With maintenance by Jones Services, you will have the confidence of knowing your heat pump will be ready to face the worst weather the coming season has in store. Repair expenses: Failing to have your heat pump routinely serviced may lead to minor problems becoming serious, which can be expensive to fix. It makes more sense to spend a little money now to address small problems rather than to spend a lot more fixing major problems later. Energy efficiency: A finely tuned heat pump will do wonders for your home energy efficiency rating because they move heat rather than generate heat. Heat pumps can provide equivalent space conditioning at as little as one quarter of the cost of operating conventional heating or cooling appliances! 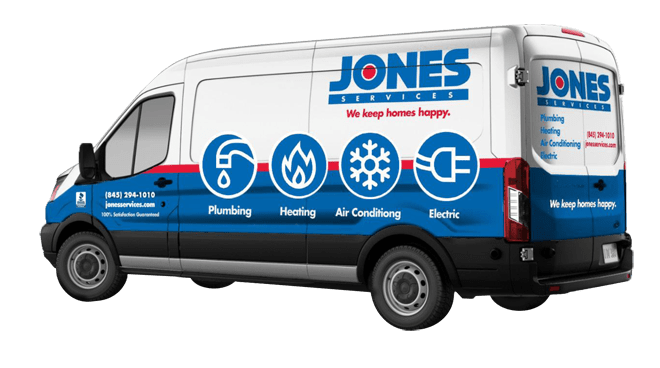 Contact Jones Services to let our trained service professionals install, inspect, repair, and if necessary replace your commercial or residential heat pump today. Our technicians are ready to help! Get in touch with us by calling the number or filling out the form below! 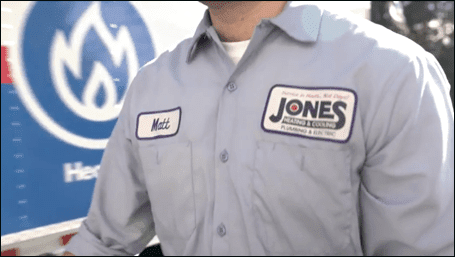 Jones Services has been the most trusted service in the tri-state area since 1986 thanks to our highly-trained team of professionals who can handle any of your heating, cooling, and electrical needs. Friendly, personable customer service is our top priority and we aim to make sure our customers are 100% satisfied with our work. Our team of professionals are certified, highly-trained, and simply the best in the area! We also offer upfront pricing and quick same-day service so your needs are met immediately! Are You Amazing? Want to Work at an Amazing Company? When your home is in need of some T.L.C. Jones Service is the most reliable, trusted and experienced home services company in the area.